Slides are great for bugs! Colorful fun for young kids! Just add your own bugs! Kids love Ladybugs! Now there's a portable habitat just for these fun little bugs. 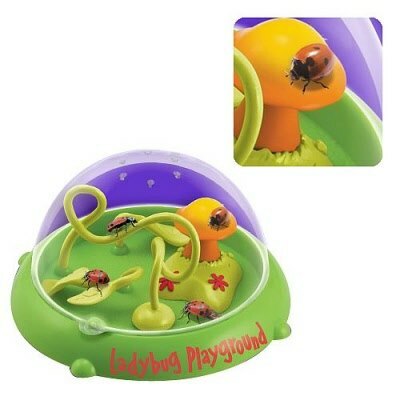 Watch your Ladybug go up and down and around the playground. Ages 4 and up.